Swim Lessons 11 a.m. – 11:45 a.m.
Open Swim 12 p.m. – 6 p.m. Swim Lessons 6 p.m. – 6:45 p.m. Pool Parties 6 p.m. – 8 p.m. or 8 p.m. – 10 p.m.
Click on the button below for all the details about the many fun programs we have in store for the summer! Small Group Swimming Lessons are $40 per child. Lessons will be ran in half-hour sessions each day for two weeks in a group. You must register for Small Group Swimming Lessons ONLINE on the Blue Sombrero website. Individual Swimming Lessons are $60 for five 45-minute lessons. Click the link below for scheduling information. Reserve the pool for your next birthday party or event. 6:00 – 8:00 p.m. or 8:00 – 10:00 p.m.
A public swimming pool is located behind the campground store. 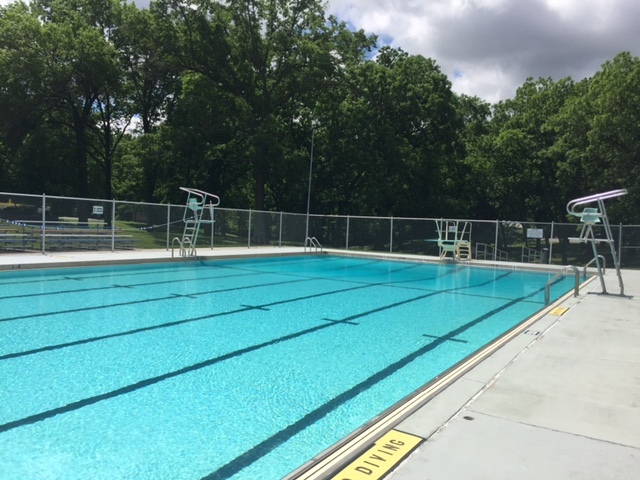 The pool is open from Memorial Day weekend through Labor Day weekend. With a zero entry to 4 1/2 foot depth and staffed by a lifeguard, the pool is ideal for families with small children. Maximum capacity is 450 swimmers. A user fee is required to enter the pool facility. For more information please call 618-594-8701.